Freehouse Owner William Lack from September 1841. 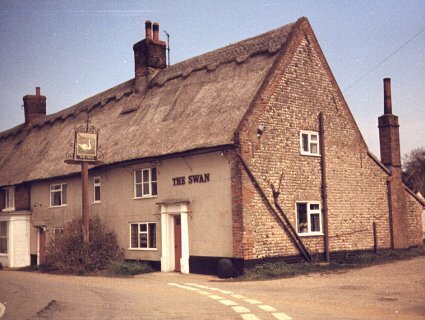 Freehouse Reopened 11.10.1988 - Purchased January 1988 by Keith & Terry Fiddy from Manns & Norwich Brewery. `With stable and small garden there belonging, with all appurtenances - Freehold - pays a free rent to the Manor of Ingham at £0/1/0½d per annum'. Lot no. 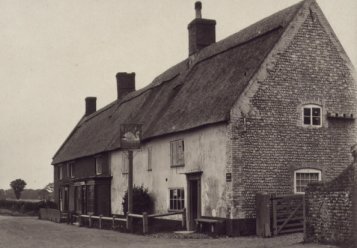 57 in sale by auction 14th to 17th September 1841 of the Coltishall Brewery. Freehold sold to Mr. Lack for the sum of £440. All those with claim or demand on the Estate of William Lack, deceased, were requested to Administrator of the Will. Lot 1 in the sale of the Estate of the late William Lack, held Tuesday 6th March 1866. Containing Spacious Tap-room, Parlour, Porter-room, Kitchen, Bar, Large Cellar and Four Bed-rooms. Two Stables, Lock-up Carriage-houses, Hay-loft and several convenient Out-houses. Large Yard and well planted Garden.
" Has been in trade by the late Proprietor and his family before him, for nearly a century." Severely damaged by fire - Early morning of Monday 11th September 2017. "We will rebuild..."
Re-opened Friday 15th March 2019 following rebuilding.